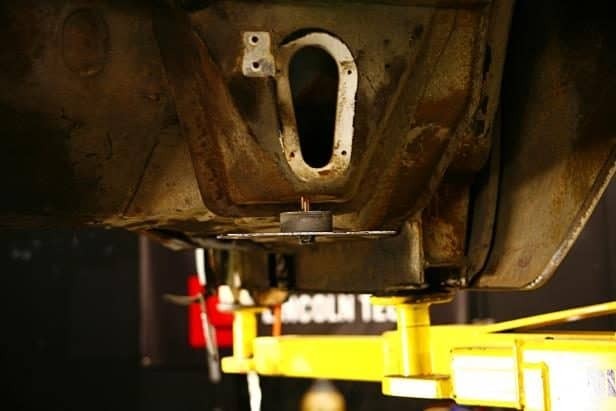 First, starting in 2003, the full-sized fords (Crown Victoria, Mercury Grand Marquis, and Lincoln Town Car) all had rack-and-pinion steering and a coil-over style spring and shock assembly. For several years, they even had cast-aluminum lower A-arms. 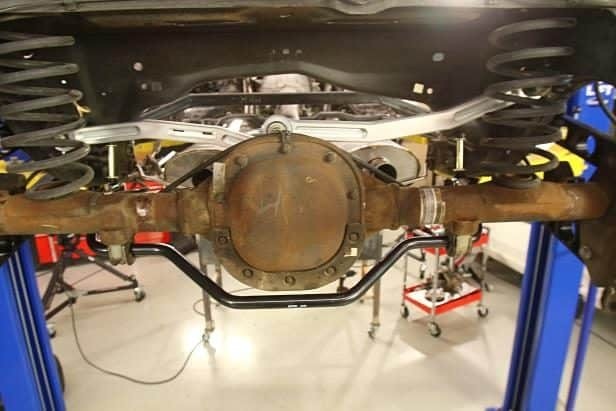 The entire assembly bolts to the frame, so it’s that much easier to remove these components as a unit from a donor car and graft them onto an older vehicle, instantly giving it better suspension geometry, (relatively) big disc brakes, sealed-hub wheel bearings, and a modern, quick-ratio steering system. Second, the Crown Victoria donor cars—Ford’s Panther Platform—are everywhere. We can’t go to a single junkyard in So-Cal without tripping over about a dozen used police cars and taxis. Third, the components are tough. Designed for police work, the parts will take a beating. Fourth, replacement parts are cheap and can be found anywhere. We weren’t the only members of the enthusiast media who heard of the Panther Platform swap. Hot Rod Garage stars Tony Angelo and Lucky Costa got the idea by talking with fans at the SEMA Show in Las Vegas. 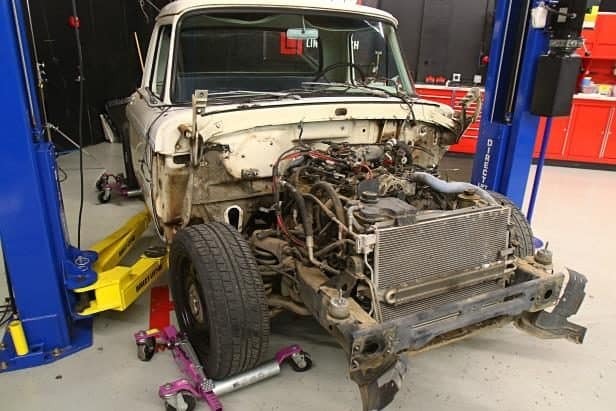 Doing some additional research, they discovered the wheelbase for a Crown Victoria and an early F-100 short-bed pickup are nearly identical, so they hatched the plan to swap the entire frame and drivetrain from a retired cop car to an F-100 they purchased locally. 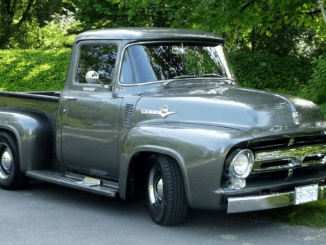 The result is a really cool shop truck that combines the awesome looks of an old car with the modern underpinnings of a new vehicle. It rides, corners, and stops like a Crown Vic, which is actually better than you may think. The last generation of these cars was far removed from the luxo-barges of the 1970s, and longtime Car Craft readers will remember we had our own Panther Platform project car: a 2003 Police Interceptor we bought at an auction and turned into a fun, reliable, and stealthy street machine. 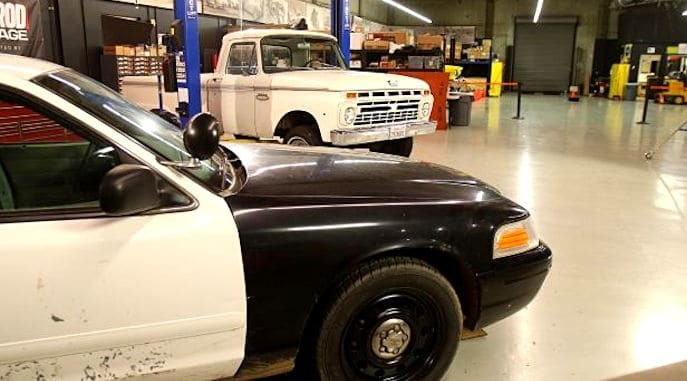 The two donor vehicles before any of the work began: A mechanically sound 2007 Crown Victoria police cruiser from the Riverside County Sheriff’s Department and a 1966 Ford F-100 that Hot Rod Garage hosts Tony Angelo and Lucky Costa found locally on Craigslist. The Crown Vic was in great shape for its age, but the F-100 is a long-bed, so the bed will have to be shortened to match the Crown Victoria’s wheelbase. removing the fuel filler neck at the gas tank. Be mindful, there may be several stray ground wires still attached, so go slowly. Once all these have been dealt with, fully remove the body from the frame. 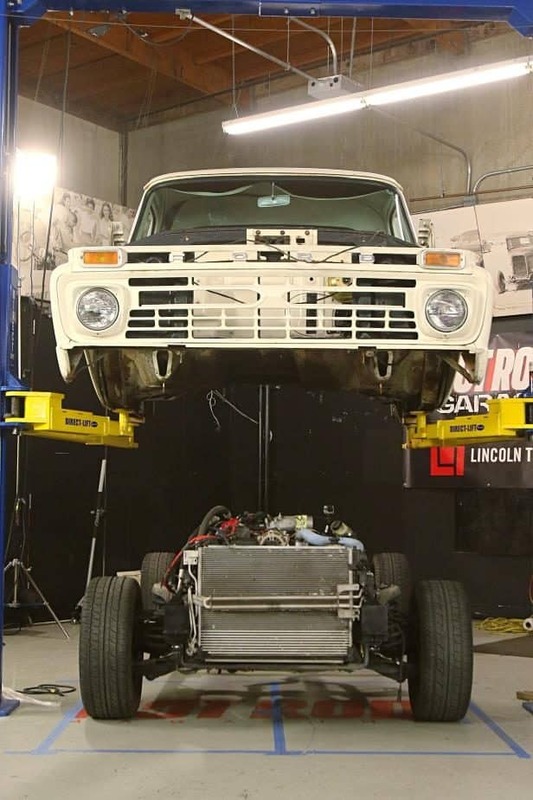 Using a set of GoJacks vehicle dollies, the Crown Victoria frame is positioned under the F-100 truck cab, loosely set in place to see what parts of each interfered with the other and may require trimming. 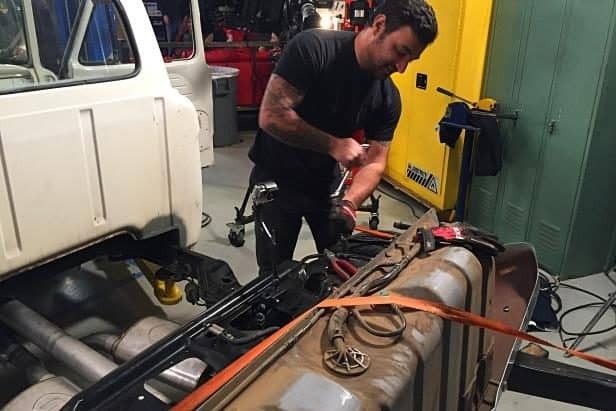 Tony and Lucky begin fitting the F-100 to the Crown Victoria police car frame, having to trim away sections of the inner fenders and remove about 3 inches of the front of the frame that actually extended past the front of the F-100’s body. The cab floor braces and a section of the rear of the cab needed to be trimmed because the Crown Victoria frame is wider here than the F-100’s frame is. 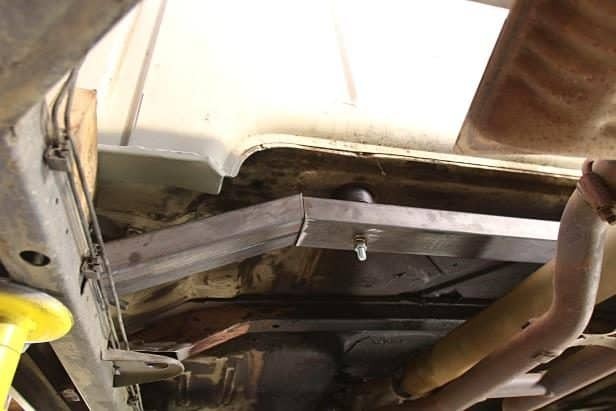 To begin the process of placing and making body mounts, Tony dropped a plum bob from the F-100’s floor to a suitable location on the police car frame. Pieces of Delrin bushings from an off-road truck body-lift kit were used for the body mounts in this project, cutting and trimming them as needed. 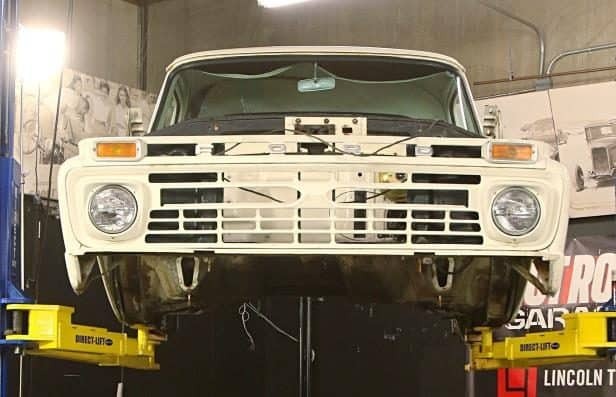 Here, they attached a bushing to the F-100’s mount location, lowered the body to the frame, and traced the outline of the steel plate on the police car frame. Hockey pucks make excellent body mount bushings. 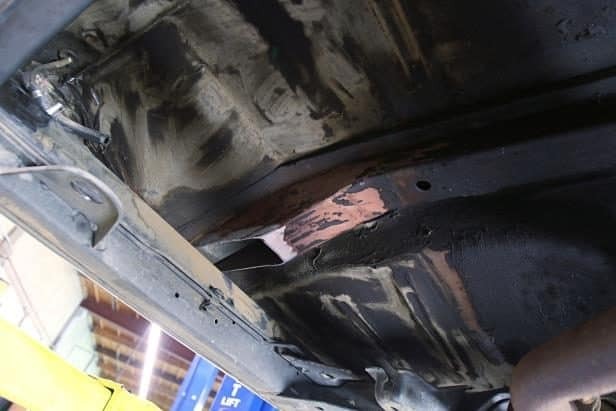 Steel plates were welded to the Crown Victoria’s frame to finish the chassis side of the mount, and the area given a coat of paint to protect against rust and corrosion. 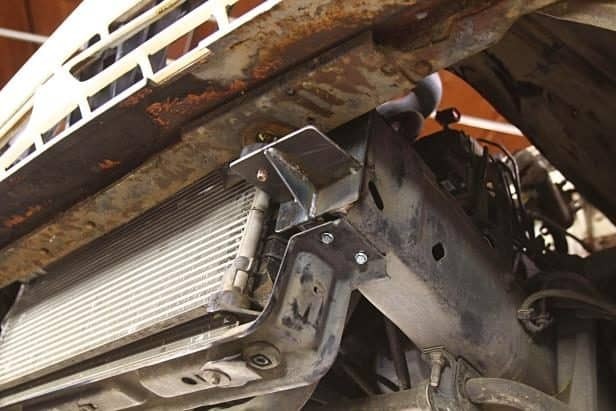 A mount was welded to the end of the frame rail to serve as the front mount under the radiator core support. To support the back of the cab, Tony and Lucky made a crossmember out of square tubing, miter-cut to rise up from the frame to reach the floor of the cab with enough room for another Delrin body mount (or hockey puck) using the existing holes on the F-100 cab. Note the block of wood supporting the cab while mocking it up. Lucky did the final fitting and welding. 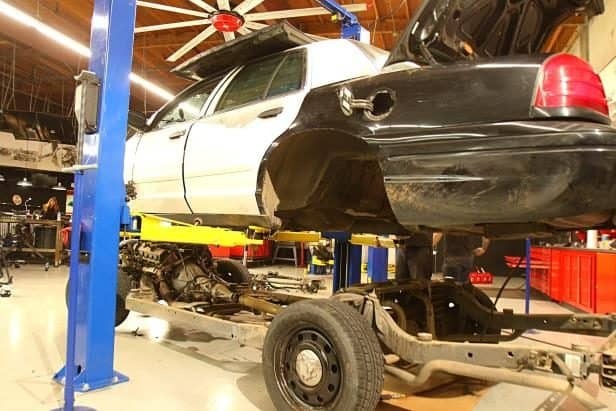 Being performance enthusiasts like us, Tony and Lucky decided to add some performance parts to the Crown Victoria before putting the F-100 body on it. 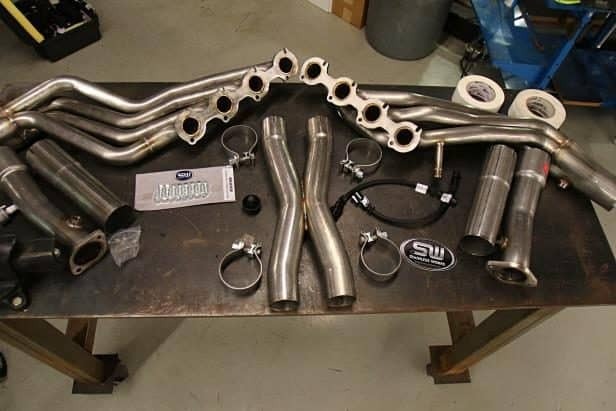 First up was a Stainless Works exhaust system, designed to fit 2003-and-later Panther Platform cars. Panther Platform specialist Chris Adams at ADTR.net supplied front and rear sway bars, Heinous Motorsports upper and lower trailing arms, and a set of Metco Motorsports Watt’s link arms. 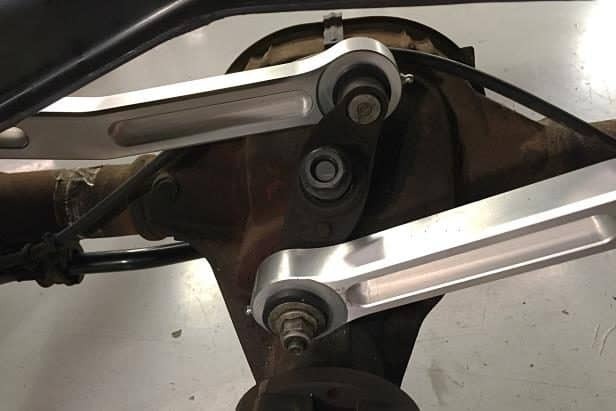 The Heinous trailing arms are CNC-machined billet aluminum and come loaded with Energy Suspension graphite-impregnated polyurethane bushings. The Watt’s link arms are also CNC-machined aluminum and come with Energy Suspension Hyperflex bushings. 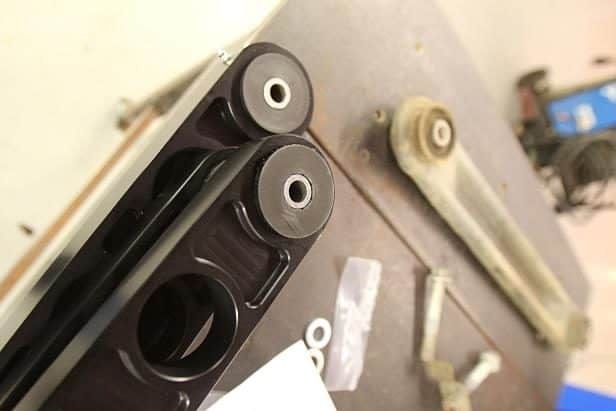 Either way, both offer stiffer bushings than stock and are much stronger than the stock stamped arms. Chris also recommends replacing the stud on the axlehousing that holds the Watt’s link bellcrank with an ARP stud he sells. He’s seen a few stock ones break in unmodified vehicles with high mileage. 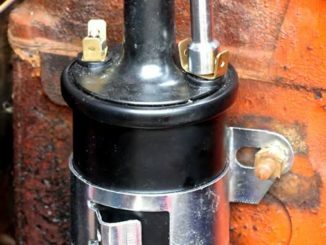 Because the Watt’s link is the only thing that centers the axle within the frame, things get ugly if this part breaks. 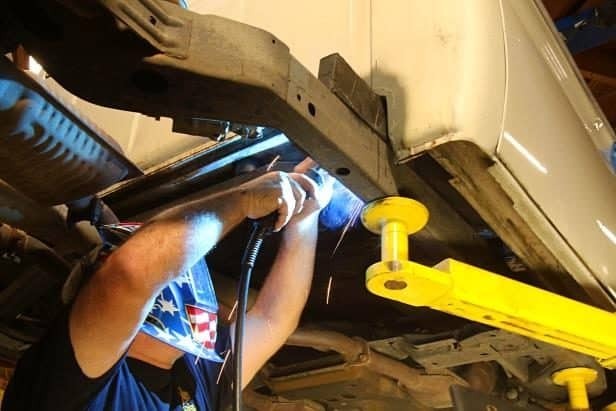 Just to get the car running, Tony plucked the stock gas tank from the Crown Victoria and lashed it to the frame with a ratchet strap. 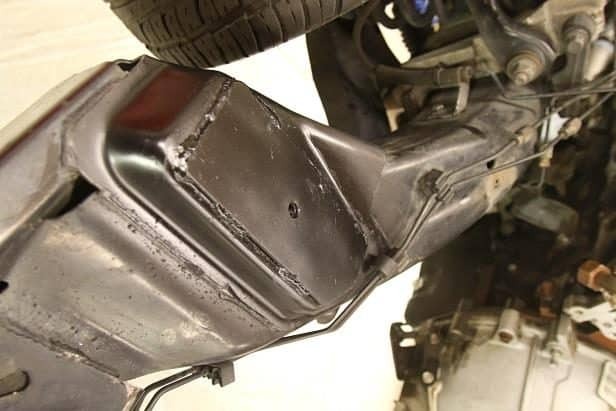 In these cars, the gas tank sits vertically in the vehicle in a space between the back seat and the front of the trunk, so you can’t just put it on its side and expect the sender and pickup to work correctly. 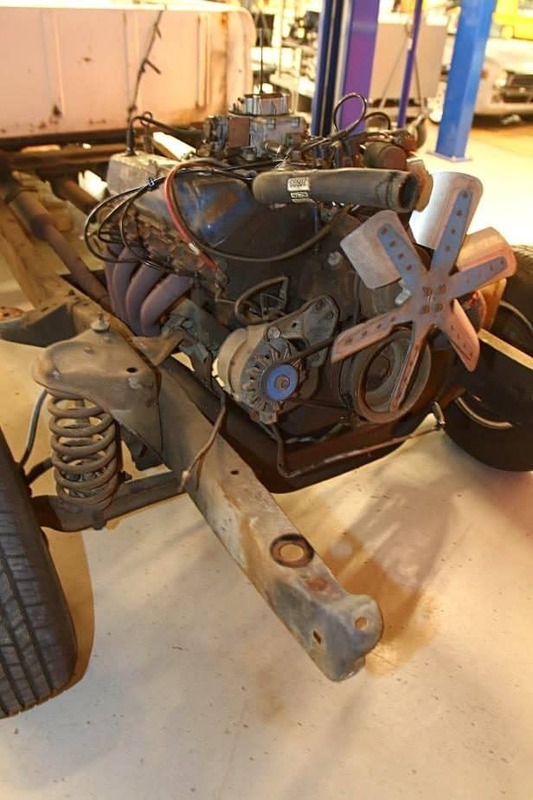 Rather than pin-out the stock wiring harness and modify it to work in this application, the guys decided to use Holley’s Terminator EFI for Modular engines. It’s designed to work with cars 2004-and-older. 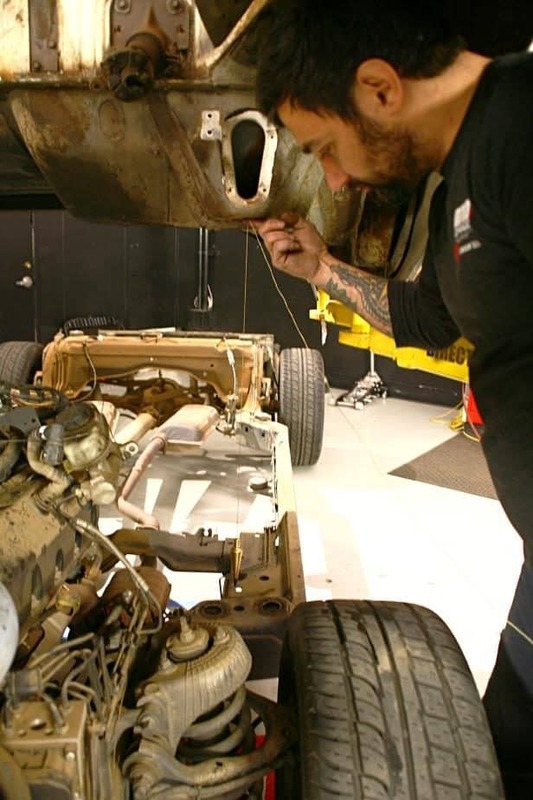 In 2005, Ford switched to drive-by-wire throttle-bodies for its SOHC engines, and there were a few other wiring changes, including a different location for the coolant temperature sender and fuel injector connectors. 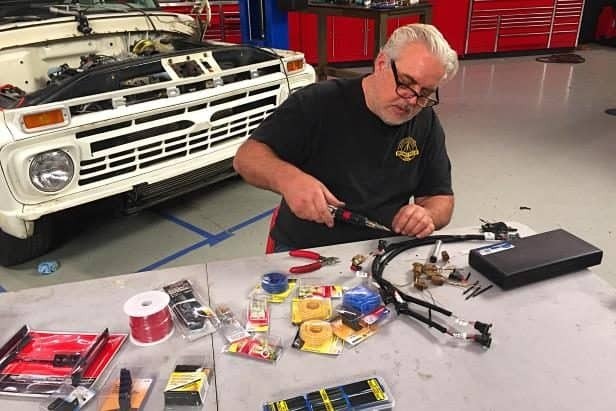 Tony got a cable-driven throttle-body that connected with a cable kit from Lokar, and Lucky soldered the fuel injector connectors from the stock 2007 harness to Holley’s EFI harness.